Bollywood star Ranbir Kapoor is really an amazing actor and besides his professional, the actor has always been a part of personal life as well. But there is really two ways when it comes to love in his life. In his movies, we have always seen him losing the girl he loves to another man, while in real life the story is totally different as he himself opts out from nearly every relationship. From Deepika Padukone to Katrina Kaif, he always has come out of his relationships and not just with ladies related to the entertainment industry but also with ladies those were not related to the film industry. 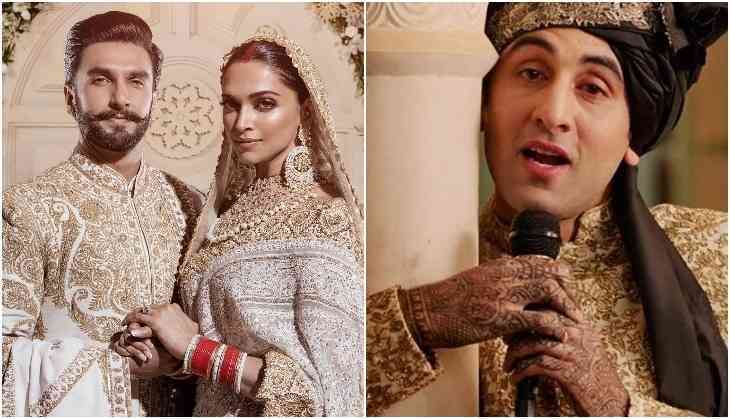 Recently when the reports of Deepika Padukone and Ranveer Singh's marriage came out, then people started joking about Ranbir Kapoor that he will sing Channa Mereya at Deepika's wedding like what he did in Ae Dil Hai Mushkil. On the other side, the young lad Ranbir Kapoor is also not in the mood to celebrate anything because his father Rishi Kapoor is seriously ill. The father-son duo who were not so close in the past life have really come so close in this tough time of family. Rajasthan Exit Poll 2018: Will Congress oust CM Vasundhara Raje-led BJP government? All you need to know! READ NEXT >> Rajasthan Exit Poll 2018: Will Congress oust CM Vasundhara Raje-led BJP government? All you need to know!